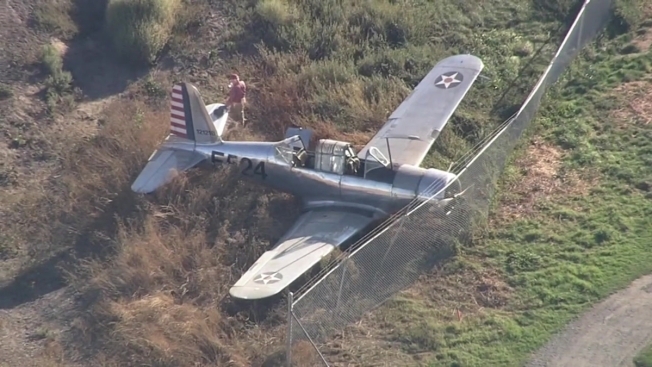 A small WWII-era plane ran off the runway and crashed into a perimeter fence at the Livermore Municipal Airport, according to the Federal Aviation Administration. The pilot of the single-engine Consolidated Vultee BT-13A was practicing touch-and-goes when the incident occurred around 3:35 p.m. Tuesday, FAA spokesman Ian Gregor said. The pilot and a passenger on board the plane were not injured, Gregor said.